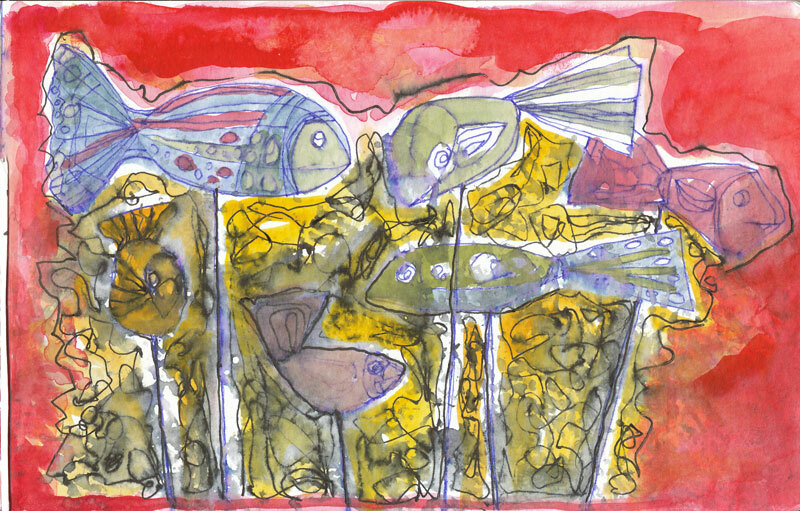 “Fish Sticks” (ink drawing with watercolor on paper). A Daily Something from my sketchbook. 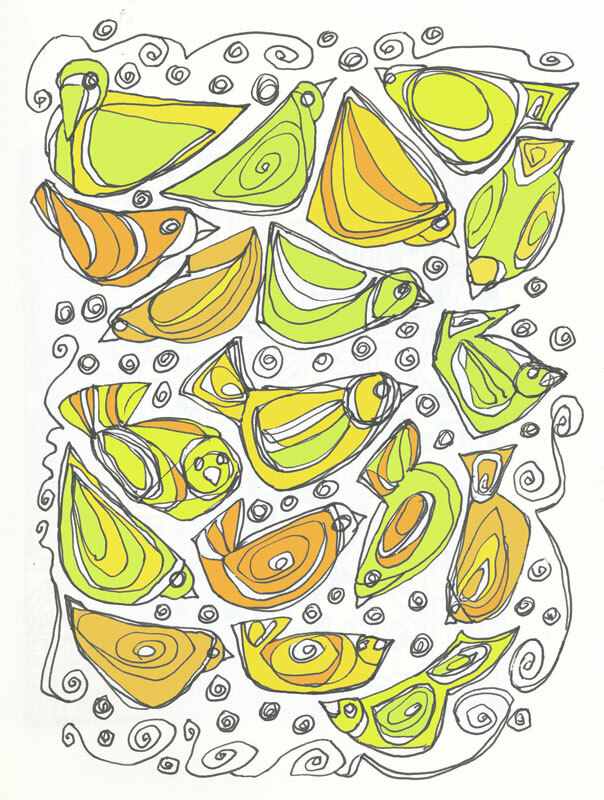 “Bird Totems with Yellow Bells” is an ink drawing with digital color. 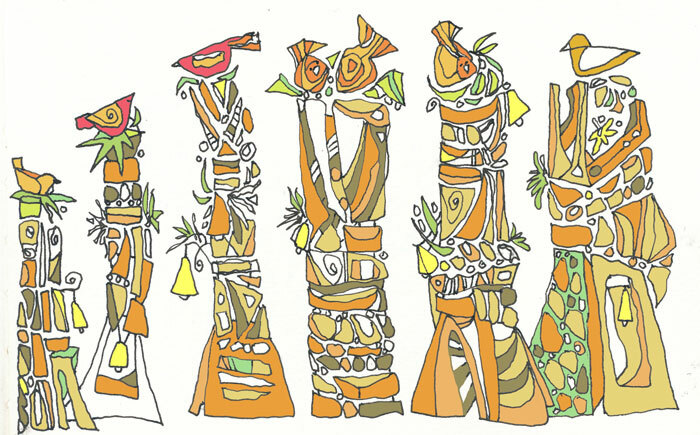 This drawing was influenced by the beautiful totem pottery that I saw at the Shemer Art Center in Phoenix. They had an exhibition of Arizona Clay works, which was amazing and fun to view. Found this little ink drawing that I started in a sketchbook last year, so I finished it, scanned it, added digital color to it. 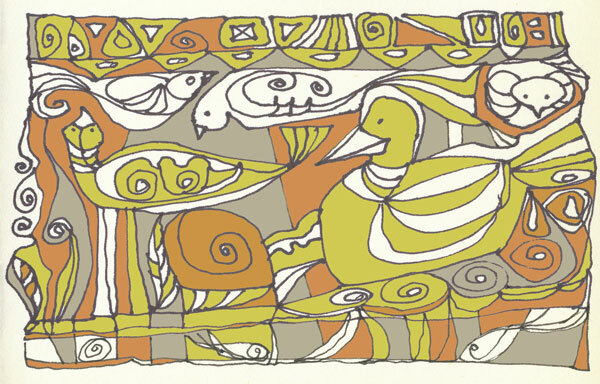 Of Fish & Fowl is 3-1/4″ x 5″ on paper. 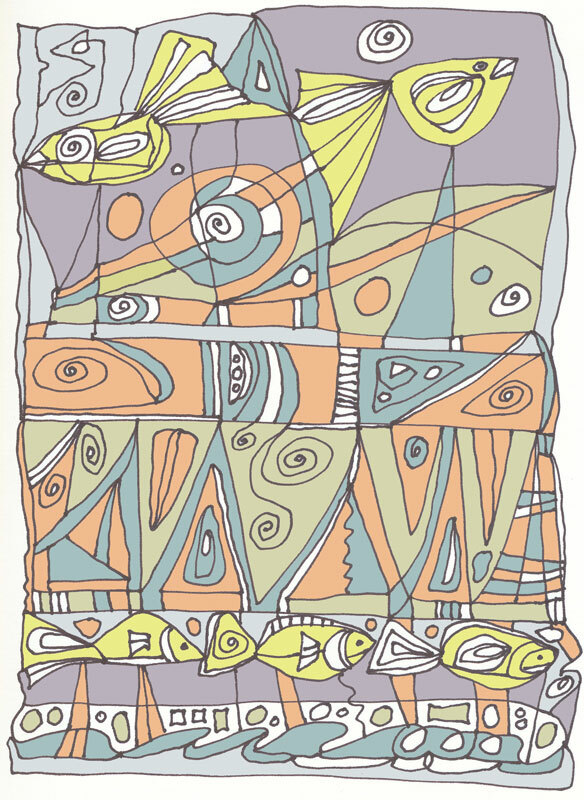 Tempting the Sea (ink drawing; digital color), part of my “Daily Something” series. 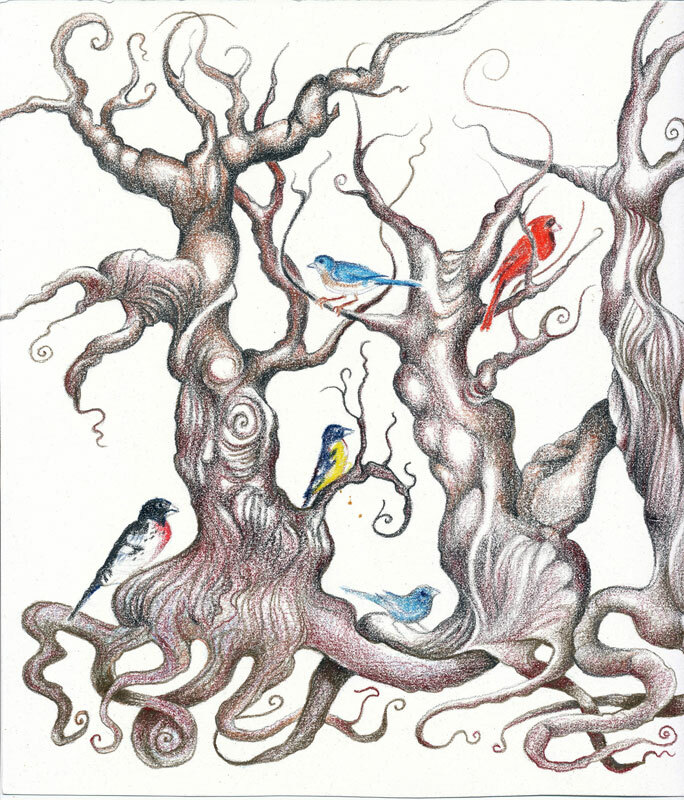 Birdseed, a little Daily Something (6″ x 4-1/4″); ink pen drawing, scanned, digital color. 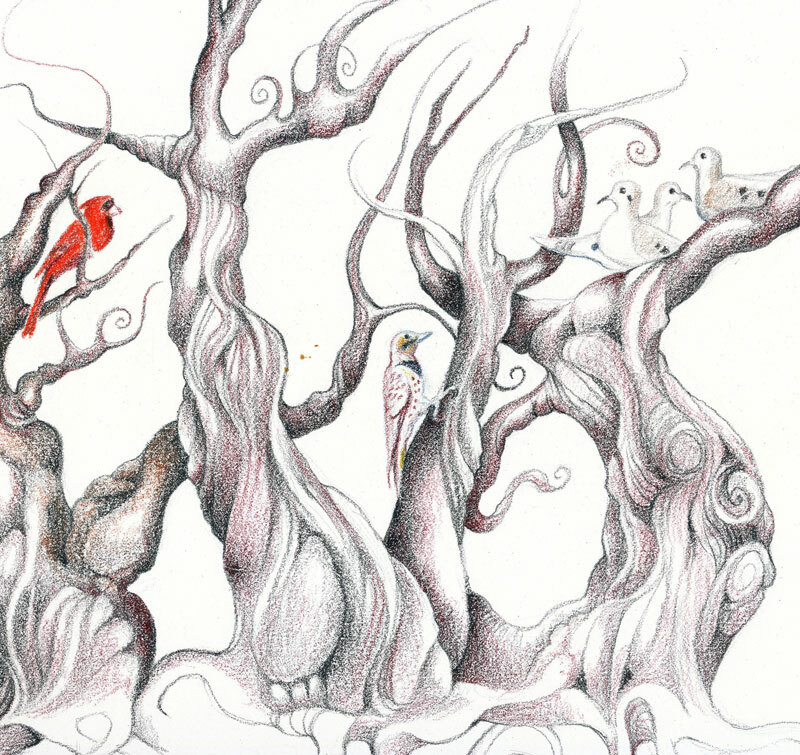 Twisted Trees (Prismacolor, 10″ x 13″ on paper) is still a work-in-progress. My scanner is not big enough to scan the whole image, so it appears as a diptych shown here.